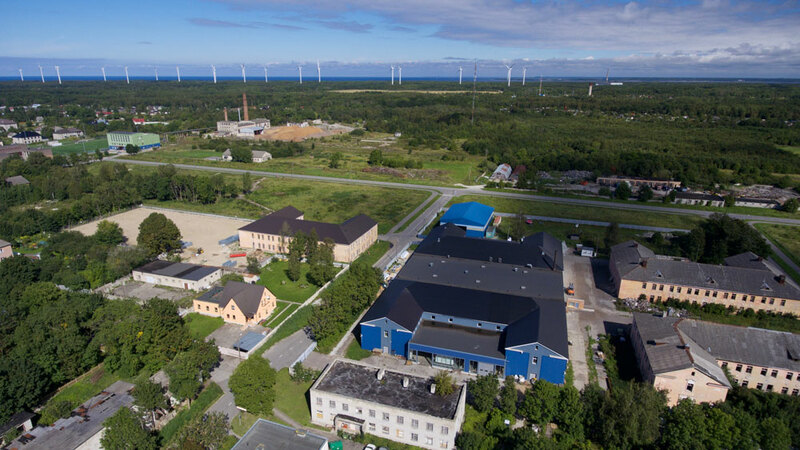 PAKRI Science and Industrial Park (PAKRI) located in less than 50 km from Tallinn, offers flexible rental terms, great logistic network, around 30% of energy saving and finds motivated labor force in the region if needed. The ambitious enlargement program of PAKRI Science and Industrial Park follows the worldwide trends, where industry is continuously moving in the direction of closer cooperation with science. In addition, the park creates ideal possibilities for business synergy. Permanently growing number of vehicles in Tallinn, freight traffic restrictions and growing export figures give the feeling of confidence that PAKRI with its location, infrastructure, railway facilities, ports and airport vicinity is a desirable place to grow up your business. In the industrial park area, there are about 500 people who every day go to work outside the town. They are employees of one successful industrial company! One of the strongest merits of PAKRI is the energy autonomy wherefrom the planning of the industrial city originates. The customers’ energy consumption is monitored permanently, and self-generated green energy share grows on a regular basis. In the buildings all the rooms are equipped with monitoring and control devices, in all lighting applications multiple LEDs are used; heating and electricity in one of the building complexes are 100% from a cogeneration plant using wood chips as fuel; some buildings are heated only by residual heat and solar energy and it all means about 30% of energy cost saving for our customers. For its customers PAKRI has developed the GreenMark which can be used by the customers on their products as the indication of environmentally friendly and energy saving production. The major feature of the industrial city is sustainable development – currently PAKRI Science and Industrial Park is involved in development of a unique industrial city on the area of 65 ha. In the producing area of over 20,000 square meters, development and testing facilities in different condition, there are 22 productions and over 35 customers of green technology services. Working environment is created in cooperation with a customer on a tailor-made basis, as the specifics of various industrial and green technology enterprises put different demands to working environment. Following the customer’s needs, the industrial park can offer 20-1,700 square meters storage and production facilities. It can be extended up to 12,000 square meters if needed, and unsheltered storage area is also available. PAKRI Science and Industrial Park has been acting 11 years and during the entire period environmentally friendly and responsible business was its focus. For three years PAKRI holds the silver quality level label of a responsible business, being the first responsible industrial park in Estonia. At the recent Annual Environmentally-friendly Company gala PAKRI Science and Industrial Park was awarded the title of the most environmentally-friendly Estonian company for the development of environmentally-friendly and green technology.